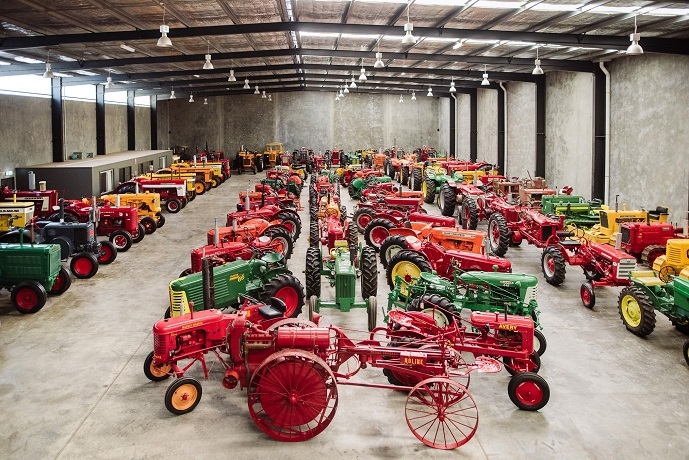 More than 100 classic and vintage tractors, acquired by a private gentleman collector over many years and worth an estimated $1 million, will be offered at auction in Geelong, Victoria. 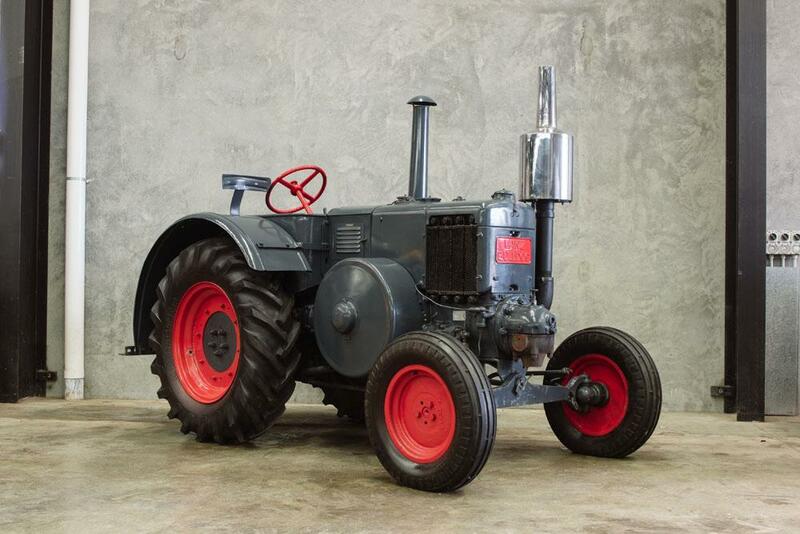 A COLLECTION of 100 classic and vintage tractors, acquired by a private gentleman collector over many years, will be offered at auction in Geelong, Victoria, this coming Sunday, April 7. 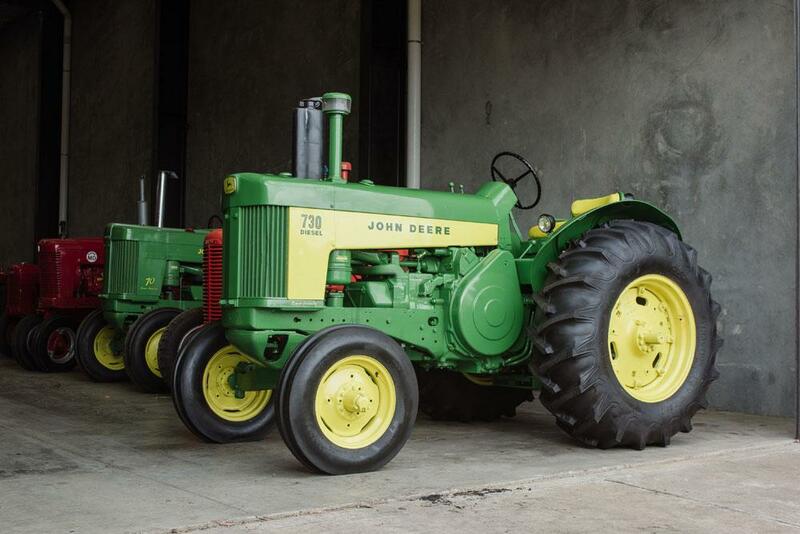 The collection features over 100 restored tractors, spanning 1919 to 1980, and is valued at $1 million. It represents a lifetime of collecting and includes some of the world’s most iconic tractor marques, sourced from within Australia and overseas, alongside some exceptional ‘barn find’ examples. c1936 Heinrich Lanz – Lanz Bulldog 35hp (Model N) D8500 tractor. Largely fully restored, the auction listing features vintage farm engine-powered machinery, including crawlers; stationary engines and vehicles of predominantly post-war American makes and models, together with a selection of European and Australian examples. One of the oldest items in the collection is an early Ronaldson Bros and Tippett Pty Ltd ‘Austral’ kerosene stationary engine that was used on the collector’s family farm in the 1920s. These engines were built in nearby Ballarat between 1908-1928. Geelong was once home to one of largest International Harvester manufacturing plants outside of the United States. Established in 1939, the plant produced Australia’s first production-based tractors and agricultural implements including trucks and equipment for World War 2. The plant closed in 1982 and little remains of the factory that once occupied 18.6 hectares of land at North Shore overlooking Corio Bay. 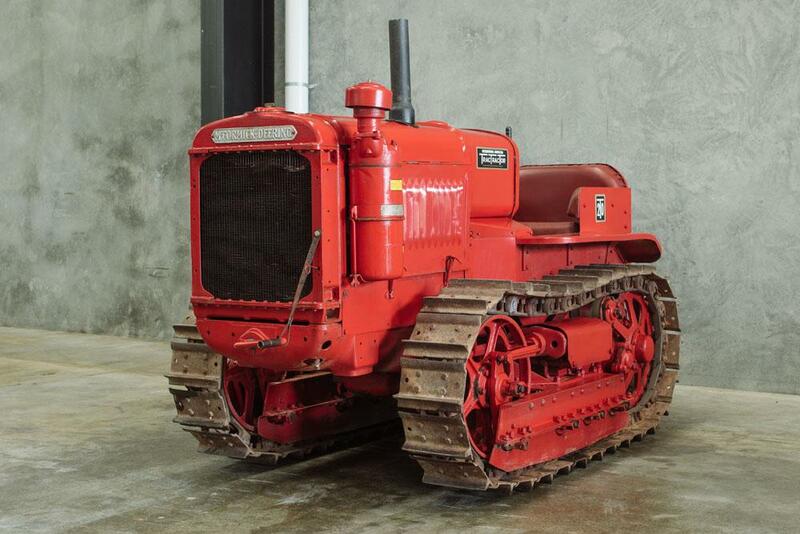 The collection also includes significant examples of Allis-Chalmers, Oliver, Case, John Deere, B.F. Avery, Massey-Harris and Massey-Ferguson, Minneapolis-Moline, Chamberlain, McCormick and McCormick-Deering. 1938 International McCormick-Deering T20 crawler. The rare and diverse collection, which has been quietly acquired and housed in a large purpose-built warehouse, has been seen by only a few people over the years. The 87-year-old ‘gentleman collector’ grew up on a dairy farm in the rural township of Drysdale, on the outskirts of Geelong. He worked the family farm from the early 1940s, mainly on International Harvester’s Farmall tractors, which from then on always had a special place in his heart, and his collection features an exceptional range of the same models he worked on as a boy. He left the family business in his early 20s and travelled to the US to study dairy farming and upon his return to Australia he established the country’s first cottage cheese manufacturing business in Preston, Victoria, which he later sold to pursue land development projects. 1959 John Deere 730 tractor. 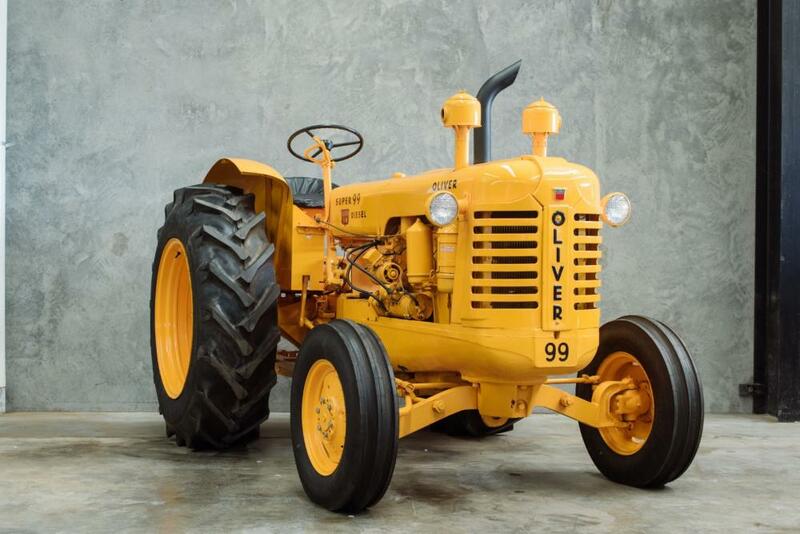 1956 Oliver Super 99 GM tractor. Source: Donington Auctions, who will be conducting the no-reserve auction.